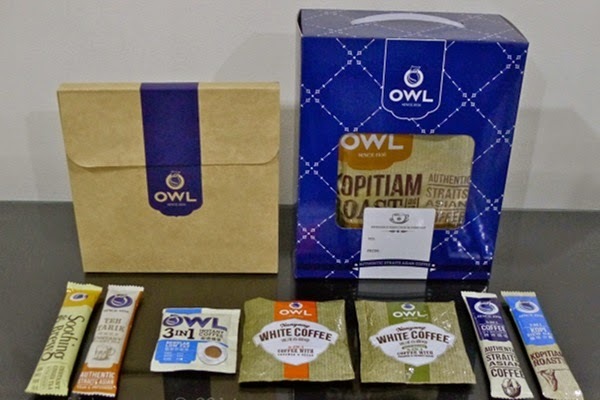 Earlier this month, I received a gift pack from Owl Coffee and Tea. 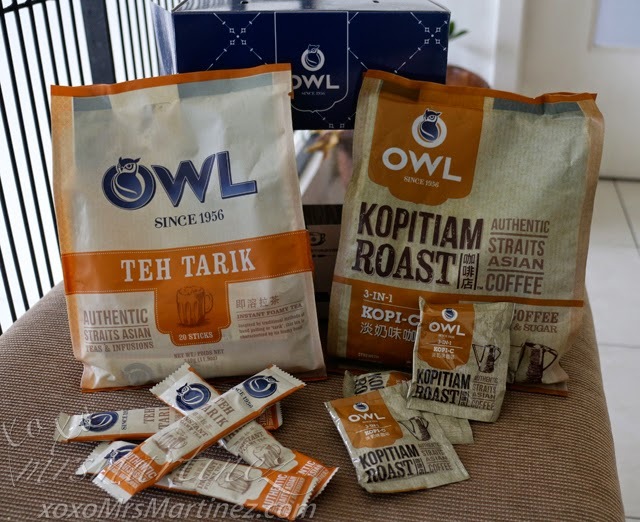 It contained Owl Teh Tarik and Owl Kopitiam Roast 3-in-1 Kopi-C. 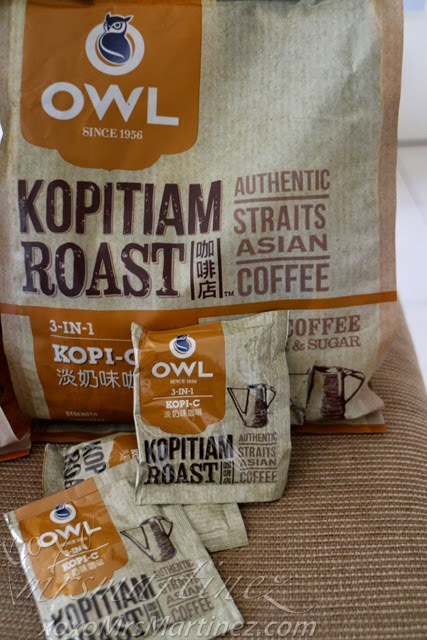 The "C" in "Kopi-C' refers to evaporated milk so this milky and unsweetened blend is both smooth and aromatic, just the way DH loves his coffee. 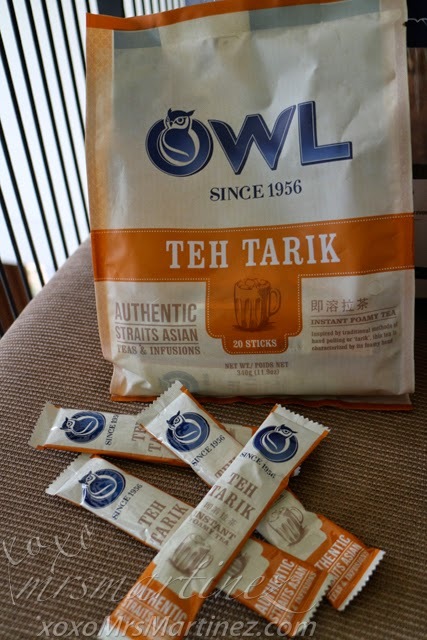 I, on the other hand, likes Owl Teh Tarik. It is like drinking a hand pulled tea or 'tarik', only I can enjoy it from the comfort of my home. Congratulations to the five winners. Kindly email me your complete name and shipping address.